Peony decanter centrifuges offer pharmaceutical plants safe and hassle-free treatment processing. It is made of high quality stainless steel and contains wear protection features to guarantee high product quality and long machine life. 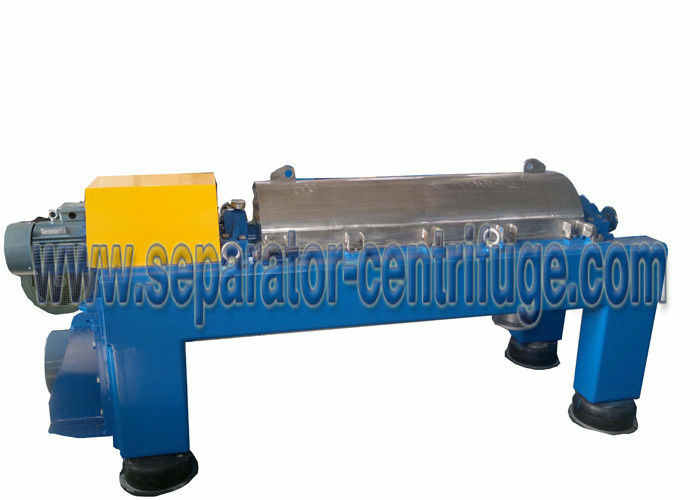 Peony decanter centrifuge is designed with utmost quality to ensure high yields, explosion protection, hygiene, cleanliness and low noise level. 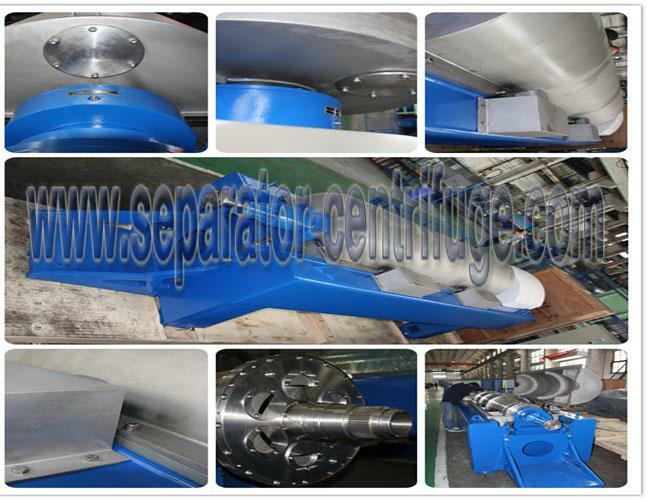 Peony decanter centrifuge is also in range of applications including environmental protection, the food industry, oil industry, chemical industry and pharmaceuticals industry. etc. High rotation speed,high G force,big length-diameter ratio. 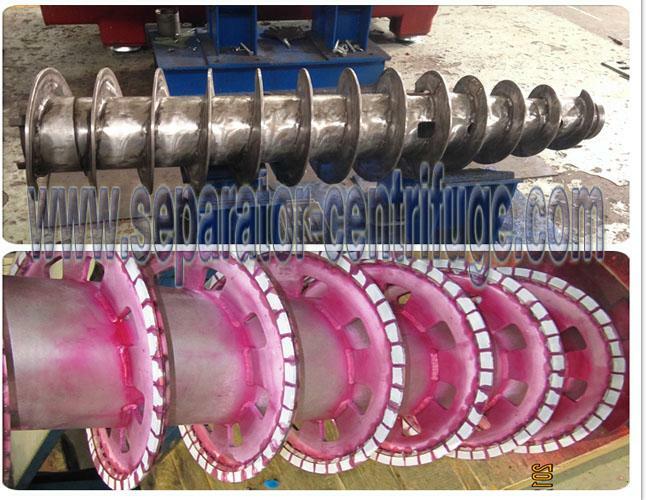 In the gravity force field or centrifugal force field, the liquid phase and the solid phase with different density and mutually insoluble in the mixed liquid, respectively gain different sedimentation speed, and thus separate and stratify. In the gravity force field it is called gravity separation, while in the centrifugal force field it is called centrifugal separation. 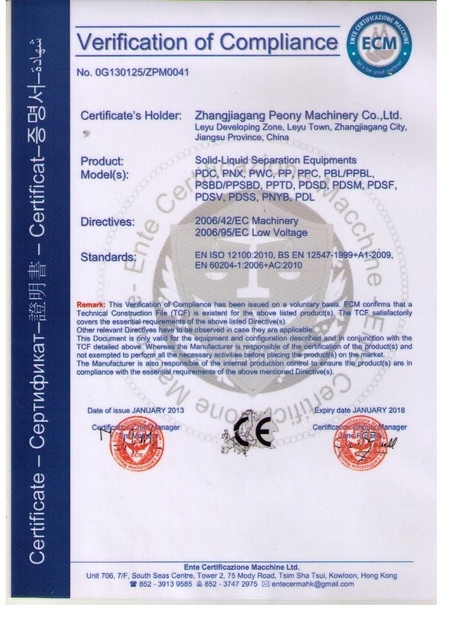 solid-phase granules with diameter greater than 0.005 mm and with the concentration being 2~40%.